At what point should churches think about divvying up their space? Churches constantly reevaluating their space. Do we have too much space, do we have too little? Where will we host this event or that class? A lot of churches have classrooms built in. If they’ve got four or five existing ones, but all of a sudden need six or seven more, they have to make those additional classrooms somehow. Most often it’s done by converting the fellowship hall, multipurpose room or basement, gym or a converted sanctuary into additional rooms. That is exactly the reason Screenflex Portable Rooms Dividers were created. As a church architect, Screenflex creator, Paul Maas, wanted to give churches a flexible solution to using their space for many uses. Portable room dividers are the perfect solution. You can set them up as a last minute room when needed. You can quickly close up the room divider and store it in a closet, to open the room back up for much-needed privacy. When opened up, it can divide one area from another, or hide unsightly equipment? 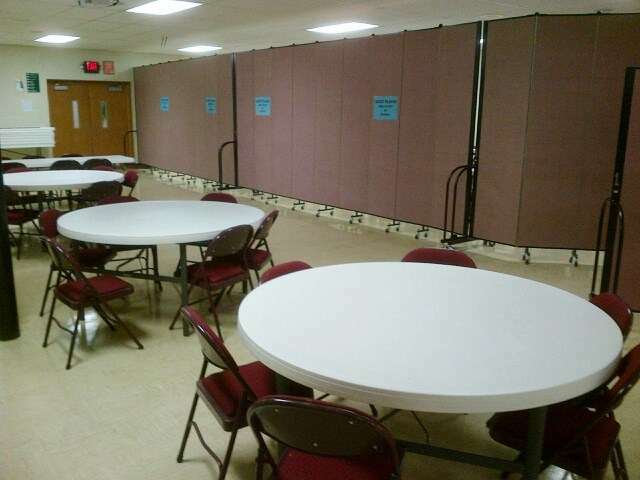 The dividers can keep kids away from an area, that is off limits or private? Be sure to have enough people to staff the extra rooms you’ve created. Flexible spaces require flexible solutions!